One of the great things about the #BloggersFete event is all the great prizes we have available for our readers. 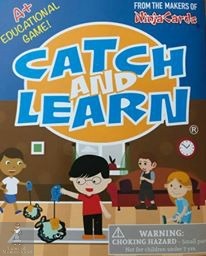 This year is no different, and on this blog you have the chance to win the Catch and Learn game from PlaSmart. Catch and Learn is a fishing game. It comes with a dry erase marker, so you can put questions onto the fish. It could be to help with math, spelling or grammar. It's a pretty fun game for kids ages 4+. I would say the 4-6 age group is probably best. The game comes with a retractable magnetic catcher, dry erase marker, 10 fish and instructions. For your chance to win it for your family - enter using the form below. This giveaway will run from August 1 until 1159PM EST August 10th. It is only open to Canadian residents over the age of 18. Hop on over to Maple Mouse Mama for the chance to win an Instax Mini 9 , a Nature Valley Prize and a gift card to Sweets From The Earth :) and to The Koala Mom (she has lots of prizes up for grabs). 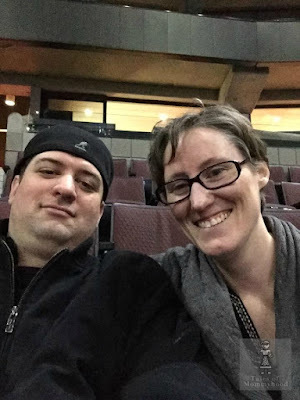 Shannon's View From Here has a Norwex giveaway (if you haven't tried Norwex products yet - you NEED to. I am a huge fan) and spa finder giveaway~! Make sure to come back and tell me if you entered any of the others , I would love one of my regular readers to win some fantastic prizes during #BloggersFete! Playmobil Fun This Christmas #2016GG, that was a fun post, we love Playmobil! This was a fun read: http://www.talesofmommyhood.com/2017/07/week-4-summer-bucket-list-update.html. I enjoyed "Fun Family Adventures in Nassau, Bahamas" http://www.talesofmommyhood.com/2016/02/fun-family-adventures-in-nassau-bahamas.html. I went to Nassau with my family when I was quite young, and it was the start of my love for beautiful white sand beaches and clear blue waters. One of my favourite tales of mommyhood posts is the stocking stuffer post from last year. There were some great ideas on the list. I am forever on the look out for gift ideas. I buy at least 50 gifts a year plus cards, flowers and stocking stuffers and I want each one to be absolutely perfect. I am always ready gift guides and lists and trying to learn about new products or new to me products. love learning with my little kiddo!